North of Wrexham on the A534 turn onto Hugmore Lane, signposted Wrexham Industrial Estate. Continue to the next small roundabout, bear left onto Bryn Lane.Continue along Bryn Lane past The Kellogs factory.Allied House is situated approximately 500 yards past the Kellogs plant on the Right Hand side. Turn off at the A534, Nantwich, exit north of Wrexham. The slip road immediately takes you to a large roundabout. Take the A534 exit. Carry on over a roundabout for just over 1 mile to another roundabout. At this roundabout take the first exit left, signposted A534. 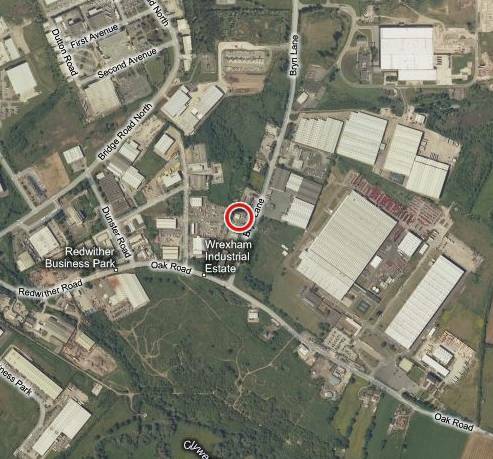 Carry on for less than 1 mile, and turn right onto Hugmore Lane, signposted Wrexham Industrial Estate. Continue to the next small roundabout, bear left onto Bryn Lane.Continue along Bryn Lane past The Kellogs factory.Allied House is situated approximately 500 yards past the Kellogs plant on the Right Hand side.